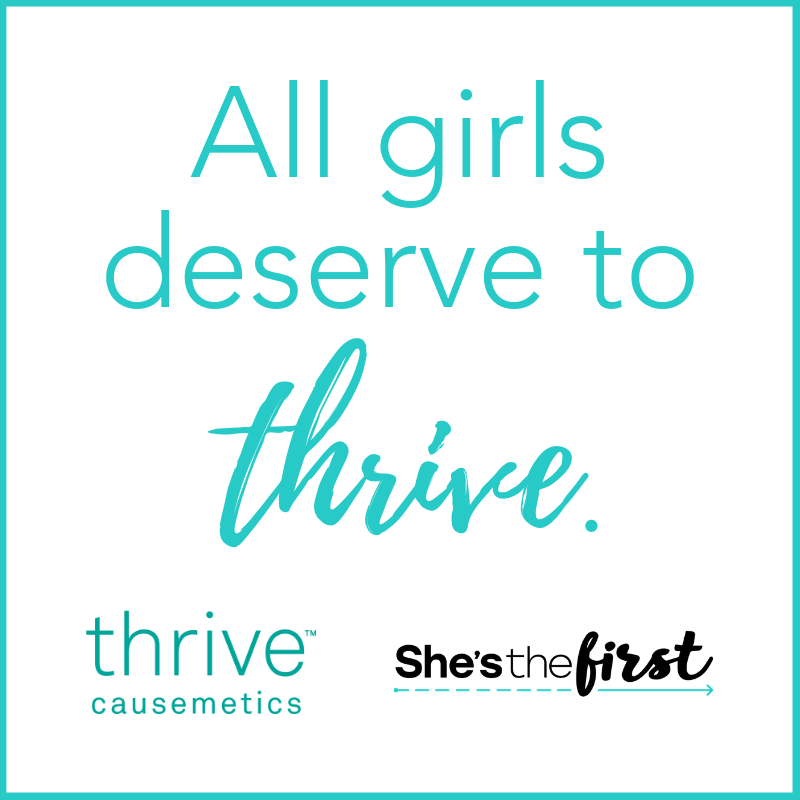 This International Women’s Day, the vegan cosmetics brand Thrive Causemetics will support She’s the First’s programs to provide quality access to girls’ education in 11 countries. Thrive will contribute 100% of its March 8th proceeds from its Buildable Blur CC Cream™ and Blend + Blur Sponge™. For the remainder of March, they will donate $5 for anyone who shares a before-and-after image on social media, showing the power of Thrive’s CC cream made in a gamechanging 18 shades.